The CIMA continuous professional development (CPD) policy ensures members maintain their professional competence, relevance and ethical awareness while effectively building on the CIMA qualification they have already attained. The CPD policy is a lifelong learning framework. Rather than just counting hours or units the policy focuses on how learning can be applied on the job. The new skills, latest thinking and best practices CIMA members acquire will help your organisation to perform better. CIMA can help you support your staff with their lifelong learning in many ways. 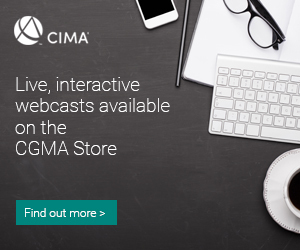 The CGMA Store gives members an unprecedented choice of CPD resources in leadership, strategy, risk and technology and much more, through the new Association of International Certified Professional Accountants. CIMA members are also able to get up to 20% off resources. All resources count towards CIMA’s Continuing Professional Development requirements. The Competency and Learning website enables members to identify the gaps in their knowledge and record the progress that they make towards reaching their professional development goals. 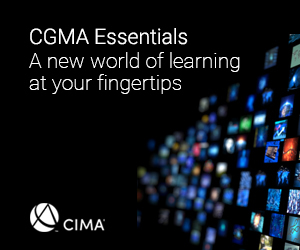 CIMA on demand is an online learning solution designed for busy finance and business professionals. Courses cover a range of topics including management accounting, finance and business skills. Each module takes between 30 and 75 minutes to complete and provides comprehensive coverage of each topic, delivered by expert speakers. Easily implemented across multiple sites. Fit employee study support into your business cycle. Corporate licenses are also available for groups of colleagues interested in using CIMA on demand. CIMA’s CPD academies are two-day programmes run four times a year with a new programme introduced each autumn. Covering a variety of topics relevant to finance professionals, these relaxed, interactive and informative events also provide an excellent opportunity to network. An Executive CPD Academy also runs each October for senior finance professionals. CIMAplus is an exclusive subscription service designed to help your staff meet their lifelong learning needs and enhance their CPD portfolio. It provides CIMA members with access to high-quality CIMA CPD products, and is an easy way for members to fulfil many of their CPD requirements. Access to all research reports, executive summaries, interviews and webcasts. A choice of two online courses from the CIMA on demand series. As professionals, CIMA members are expected to maintain and develop their ethical competence.